Teachers, much like doctors, are expected to know all the answers. We're teachers, right? But as a teacher, I will be the first person to tell you that I do not know everything. At times, ashamed of my ignorance, I wonder, "why was I never taught about that?" This sensation was repeated just last night when I received a forwarded email detailing the Tomb Of The Unknown Solider and the Old Guard. The teacher in me had to confirm if the information in the email was correct. After a little bit of research I found some of the email's "information" to be true and some rumor. Regardless, the true meaning of the Tomb and the story of the Soldiers who guard it is worth knowing. I have decided to share it here because I want to show the unaware (like myself merely a day ago) the critical emphasis the United States puts on honoring its fallen warriors, even if their identities remain forever unknown. 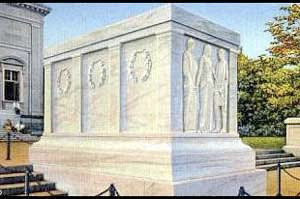 The Tomb Of The Unknown Solider is located in Arlington National Cemetery, Virginia. 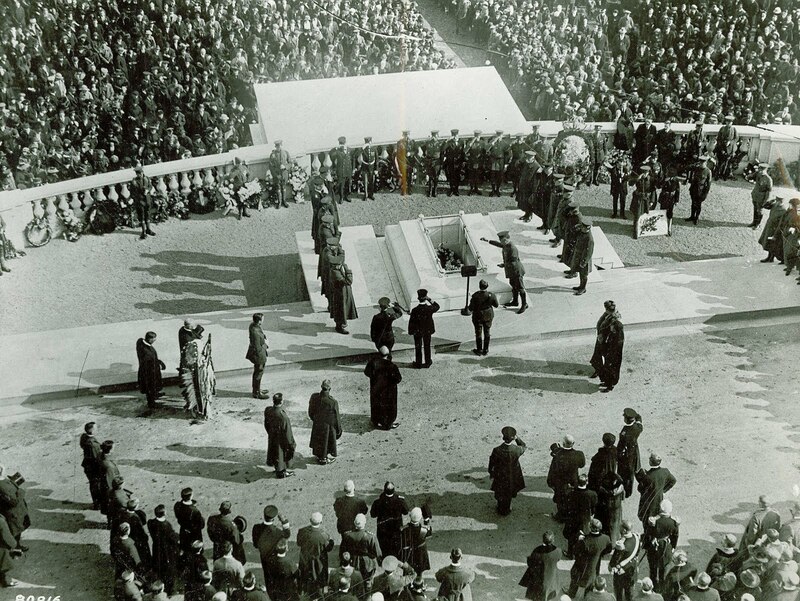 On March 4 1921, Congress approved the burial of an unknown Soldier in the plaza of the Memorial Amphitheater. On Memorial Day 1921, four unknown American Soldiers from WWI were exhumed in France. On October 24th of that same year, Army Sgt. Edward F. Younger (who was wounded in combat, highly-decorated for valor and received the Distinguished Service Medal) placed a spray of white roses on the casket of the chosen unknown Solider who would be interned at the Tomb of the Unknown. 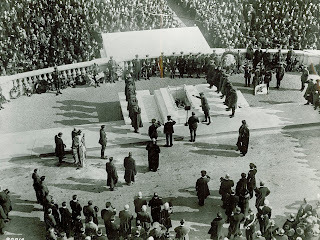 On Armistice Day (later renamed Veteran’s Day), November 11, 1921 President Warren G. Harding officiated the ceremonies of the Unknown Soldier. On August 3rd 1956 President Dwight D. Eisenhower signed a bill to select and honor unknown Soldiers from WWII and Korea. The WWII solider was chosen by Navy Hospitalman 1st Class William R. Charette, then the Navy's only active-duty Medal of Honor recipient. Army Master Sgt. Ned Lyle had the distinguished honor of choosing the Unknown Soldier from the Korean War. On Memorial Day 1958 President Eisenhower awarded each soldier the Medal of Honor before laying them in their final resting places. On May 17th 1984 at a ceremony held at Pearl Harbor, Medal of Honor recipient U.S. Marine Corps Sgt. Maj. Allan Jay Kellogg Jr. chose the Unknown Soldier from Vietnam. The Unknown Soldier arrived in California where he began his journey across the country to the Nation’s Capitol where President Ronald Regan and Mrs. Regan were among the many visitors to pay their respects in the Capitol. On Memorial Day 1984, the Unknown Soldier of Vietnam was carried on an Army caisson through the Capitol to Arlington National Cemetery. There, President Regan presided over the ceremony awarding the Medal Of Honor to the Unknown Soldier, standing in as the Soldier’s next of kin, and accepting the interment flag at the end of the ceremony. Due to scientific advancement the remains of the Vietnam Unknown Soldier were exhumed and identified through DNA testing in May of 1998. The solider was identified as Air Force 1st Lt. Michael Joseph Blassie, who was shot down near An Loc, Vietnam, in 1972. It has been decided to leave the Vietnam tomb vacant. The Tomb of the Unknown Soldier represents the respect and gratitude of a Nation. A declaration to never forget anyone, even those whose names, locations, and final resting spots are unknown. It is a place for family members and friends to help find closure and solace. 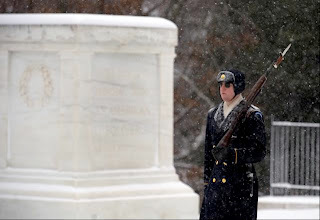 Another component of the respect of a grateful nation is the Old Guard. The Old Guard is also known as the 3rd US Infantry, the oldest active duty infantry unit in the Army. 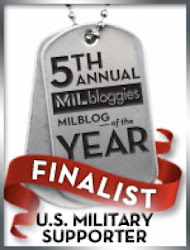 The 3rd US Infantry has been serving Our Nation since 1784. The Old Guard is the official ceremonial unit presiding over all military ceremonies connected with the Arlington National Cemetery and the President of the United States, in addition to providing security during an emergency or civil disturbance. One of the positions the Old Guard holds at Arlington National Cemetery is that of Sentinel of the Tomb of The Unknown Soldier. Members of the Old Guard who become Sentinels are hand picked volunteers who are arduously tested through different phases for more than nine months before granted the honor of wearing the permanent silver badge of an Old Guard Sentinel. There have been over 500 Sentinels, three of which were women, who have guarded the Tomb since 1926. In July 1937, the order went from daylight to a full twenty-four hour guard. 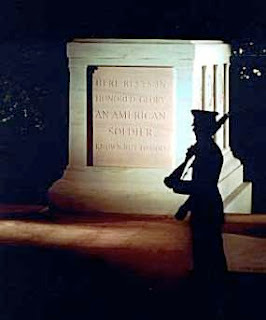 Lets put that into perspective, for nearly the last 73 years, or more than 26,600 days (at the time of this writing), there has been a Sentinel guarding; honoring the Tomb of The Unknown Soldier in the heat of summer, rain of hurricanes, deep snow of winter for twenty-four hours without interruption. The Sentinel's mission is to keep the highest standards and traditions of the Nation while keeping a constant vigil, while preventing any disrespect or desecration towards the Tomb of the Unknown Solider. Yet their presence is not the only sign of honor and dedication they exhibit. The Sentinel’s take exactly twenty-one steps continuing to echo the twenty-one gun salute. On the Sentinel’s 21st step, he or she turns towards the Tomb to pay respects for twenty-one seconds. After this, the Sentinel turns “down the mat” as it is called, changing the rifle to his or her outside shoulder, and waiting another twenty-one seconds before taking the twenty-one steps to repeat the process. 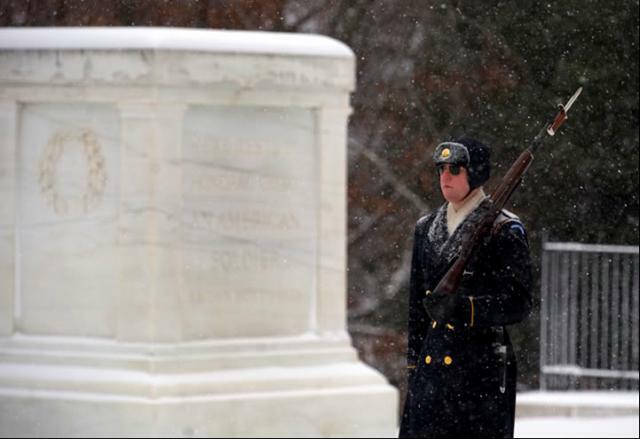 Every single aspect of the Tomb of The Unknown Soldier shows honor, tradition, and respect. I have never been to the East Coast, but when I do make the trip I plan on seeing what I can only imagine is a somber and beautiful tradition of honor. I hope to see you there. Well Done. It's nice to see a good citizen take the time to look up something like this. A Child Who Battles "Empathy Fatigue"